We want to share with you the amazing taste experience of pre-industrial coffee. While others sacrifice flavour and quality for shelf life and transportability, we take an entirely different approach. We pursue the best tasting coffee and the most flavourful coffee is grown with the old ways. And you guessed it, the old ways are sustainable too. We admire the experience, the traditional knowledge and hard work of our growers. That work results in the extraordinary quality of our beans. Our long term, mutually respectful relationships with them are the basis of our product. 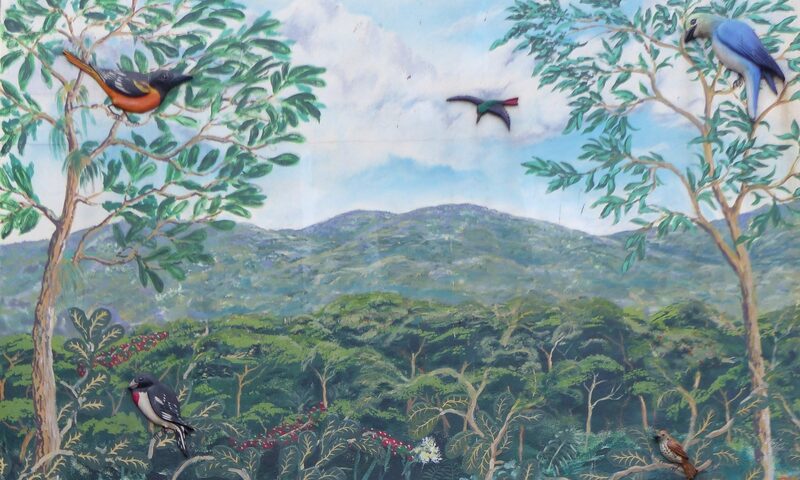 We feel our connection with them in each cup of our forest grown coffee and we appreciate that connection every time we hear the songs of our migratory birds. In a world that is now dominated by Big Intensive Agriculture, our Organic, Shade Grown and Fair Trade Certifications are your assurance that we do things the traditional way.